On Monday, Hillary Clinton suggested that this might not be the ideal approach to counterterrorism. 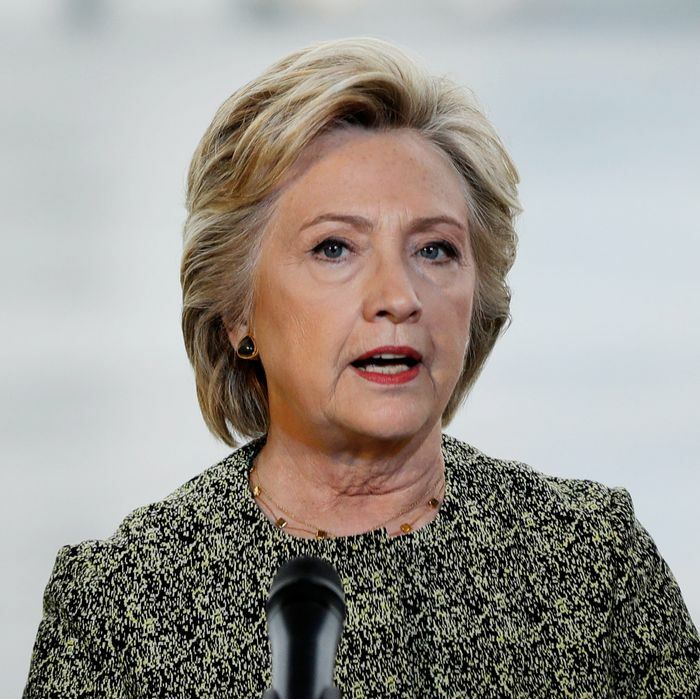 Asked at a press conference whether she thought terrorists might be trying to throw the election to Donald Trump, whom they see as a more convenient adversary (a rather loaded question), Clinton refused to speculate. But she did argue that we already “know” Trump’s rhetoric has benefited ISIS. Clinton went on to note that Trump’s comments have been used for the recruitment of terrorists online, according to former CIA director Michael Hayden. “We also know from the former head of our counter-terrorism center Matt Olsen that the kinds of rhetoric and language Mr. Trump has used is giving aid and comfort to our adversaries,” Clinton continued. The Trump campaign, for its part, finds it outrageous for Clinton and the Obama administration to suggest that defeating ISIS will require discrediting their narrative. “When it comes to ISIL (ISIS), we are in a fight — a narrative fight with them. A narrative battle,” White House press secretary Josh Earnest told MSNBC Monday. Last month, Donald Trump argued that defeating ISIS will require discrediting jihadists’ narrative, just as winning the Cold War required taking on the claims of communists.